When the Mozambican capital of Maputo gets hit by heavy storms, some parts of the city experience flash floods. This leads to a build-up of stagnant water and swampy conditions that are ideal for outbreaks of diseases like malaria or cholera. The more densely populated and poorly designed parts of the city are most at risk. With climate change expected to bring greater heatwaves and more severe rain storms to the region, these kinds of outbreaks might become more common in future. Maputo experiences flash floods and heavy rain that results in build-up of stagnant water that is ideal for outbreaks of diseases like malaria and cholera. A new digital tool is being designed that will help the municipality better anticipate where the disease hotspots will be, and where those are in relation to the best medical treatment centres. The digital ‘dashboard’ will also draw in weather and climate-related information so that the city can plan for and better anticipate where outbreaks of these mosquito and water-borne diseases are likely to be in future. Local climate researchers and city administrators from various sectors such as health, transport, and the environment recently identified the need for this kind of early-warning system, following consultation sessions, according to local environmental scientist professor Genito Maure, with the Faculty of Science at Eduardo Mondlane University in Maputo. Maure, who also works with climate researchers from across southern Africa as part of the Future Climate for Africa program (FCFA*), drew together fellow FCFA researchers together with Mozambique’s National Institute of Health, to see if they could design a tool that could predict where these kinds of outbreaks might be most likely to occur, based on short-term weather forecasts. ‘We already have a robust database of where malaria and cholera outbreaks commonly occur across the region. We also have extensive climate data, and we have mapped where the nearest health centres are in relation to those,’ says Maure. The team started to design an internet-based tool that can overlay this information onto a map of the city that will show the population distribution, and whether communities are living in formal homes where they are more likely to have better sanitation, or are in unserviced informal structures. They included a map of where the key water wells are, which authorities need to monitor for water quality. 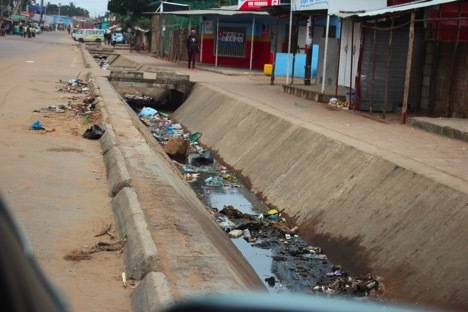 The mapping process needs to capture areas of the city that have been poorly planned, since this is where inadequate sanitation and drainage are more likely to occur, and what the condition of water storage facilities are, since these areas are most at risk of conditions favouring malaria and cholera outbreaks. The tool, when it’s completed, will also draw in weather forecasts from the state’s meteorology services. ‘If we have information that indicates the city will experience a certain amount of rain, or specific temperature conditions, we can feed this into the tool and it will calculate where the most likely outbreaks of disease are likely to occur,’ explains Maure. The digital dashboard then allows the user to look forward by 10 to 20 days to forecast where high-risk disease areas might occur, and where the best or preferred clinics and hospitals are. As the artificial intelligence behind the system draws together more data on past disease and weather trends, it will become better at forecasting disease hotspots in future. ‘There is already a lot of information and analysis, relating to these development issues within the city. This has been published by various consultants over the years,’ says Maure. But they found that much of this information remains ‘on the shelf’, and that policy makers aren’t able to access it, or draw it into their day-to-day decision-making and planning. ‘It seems that many people working within the city in its different departments often don’t understand the contents of this information,’ says Maure. The FCFA team is drawing up a series of narrative-style information sheets which pull the city’s burning issue topics together, and provides information that will help explain how rising temperatures and shifting rainfall patterns will impact on issues of water, sanitation, and health. This package of information includes instructions on how to best use it, and will help inform mayors and councillors about the likely impact of climate change on the city’s pressing issues. The initial consultation process between researchers and city personnel showed up the need to help councillors join the dots between climate change impacts, and different sectors such as transport, health, environment, and planning. Meanwhile, the digital dashboard is still under construction and Maure hopes it will be completed later this year. 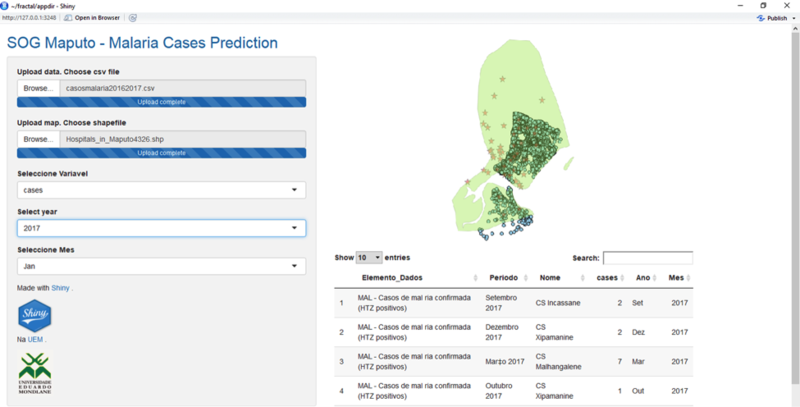 The digital dashboard, which will help city health services better anticipate disease outbreaks in the Mozambican capital of Maputo, will be launched later this year.